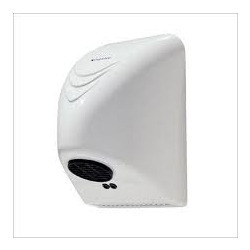 We are a leading Manufacturer of hand dryer small from Bengaluru, India. We are one of the leading names in industry, engaged in offering a hug gamut of Hand Dryer Small. Thee technologically advanced hand dryers are highly efficient in drying the hands without harming them. These dryers are easy to install the operate. One can easily avail our exclusive range of these dryers in various models and at most affordable rates in market. Looking for Hand Dryers ?